Responsible breeders are concerned with the betterment of the breed. For example, they work on breeding healthier dogs with the appropriate temperament for their breed. Your AKC breeder referral contact will direct you to a breeder who is concerned with the future of the puppy. These organizations will have information regarding breeding practices for their individual breed and a code of ethics for breeders. Many of these clubs also have some type of breeder referral program to help you find a responsible and reputable breeder. 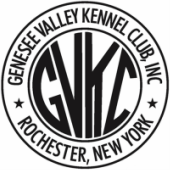 You can link to the National Parent Clubs from the AKC web site or through the GVKC breeder referral below. Owning a dog is a big responsibility! Talk to breeders. Ask them lots of questions; we all know there are no stupid questions. A responsible breeder will eagerly answer your questions and share his or her experience and knowledge with you. While there can be circumstances that prevent this (sometimes the breeding was done by AI and the sire is no longer alive or the dam died after whelping), for the most part, the breeder or litter owner should be able to let you see the dam for the litter. Whenever possible, you want to meet the parents of the puppies to see how the dogs in your breeder's home interact with the breeder and you. Are they friendly and outgoing or do they shy away? This is sometimes just as important as seeing the puppies in the litter and how they interact with each other, the breeder and you. Whatever your reasons for wanting a particular AKC breed, the breeder knows what type of home environment their breed needs. Whether it is a written questionnaire or whether it it done verbally, the breeder wants to find out what type of environment and home their puppy will be going to and for the sake of their puppy, wants to make sure the home is a "forever" one. It is important to be forthright and honest in answering their questions. A contract is a mutual agreement between two people written down in plain English. If there are health guarantees, these should be spelled out in the contract. If you are to provide spay/neuter proof, this should be spelled out in the contract. There is no set standard for what is included in a breeder's contract. Some are very simple and some can be quite complicated. You should read it over carefully and ask for clarification of any part you do not understand. You also have the right to request the wording of the contract to be changed to fit your expectations and if your request is within reason, the breeder should be willing to work with you to come up with an agreed upon contract. The goal is to have a mutual agreement between you and the breeder for the purchase of the puppy. If the breeder is marketing their puppies as AKC registered, do not pick up and pay for a puppy without receiving or seeing the AKC registration for that particular pup. Official AKC registration application papers are two sided and carry the AKC logo on the front page. The front page litter information shows the breed, date of birth, sire (and sire's AKC registration number), dam (and dam's AKC registration number), breeder and owner of the litter (which does not have to be the same). There will also be a unique number that is the registration number for a single puppy in the litter (each puppy will have their own unique number). There is a payment information area, a place to put the requested registered name for the puppy, gender, information if the pup has a microchip or tattoo, the type of registration (limited or full) and the color and markings of the individual puppy. On the back side there is an area where the litter owner signs the puppy over to the new owner and a place for the new owner(s) to fill in their information and sign the form. Litter owners can get the litter registered online or by mail. Either way, the registration applications will come in the mail within 7 to 10 days and the litter owner should be registering the litter well before the puppies are ready to go to new homes. If the litter owner does not have the papers by the time the puppies are ready to move to new homes, you should assume that they are running into a problem getting the papers and you may be ending up with a puppy who cannot be registered with the AKC. Some reasons for not having the AKC registration application for a puppy are: One or both of the parents are not registered with the AKC, the stud owner is having a disagreement with the litter owner/breeder and will not sign the litter registration, the litter owner or the stud owner has been placed on suspension with the AKC, etc. Not having the money to register the litter with the AKC is not an acceptable excuse. Some breeders have a policy where they will hold onto the registration application of the pet puppies until they receive proof of spay/neuter. But, when you pick up your puppy, you should be shown the AKC registration application for the puppy and you should be filling out the new owner portion of the application. This way as soon as you provide proof of spay/neuter, the litter owner can either send the application into the AKC for processing or can mail it to you so you can send it in. Pick up a newspaper and read through the Pet Classified section and you will see a vast number of ads for mixed breed dogs. For the most part, these ads are for the current fad of "designer dogs". A designer dog is one where both parents are purebred (and in many cases registered with the AKC), but of two distinctly different breeds. While this type of breeding has existed for quite some time, the practice of breeding Poodles with other breeds (e.g. Golden Retriever, Labrador Retriever, Maltese, etc.) has exploded since an organization in Australia who provided seeing eye dogs, experimented with this type of mixture in an attempt to create a dog capable of becoming a seeing eye dog that would not cause an allergic reaction to their clients who were allergic to dogs. The Australian organization experimented several years with the Poodle mix breeding, but discontinued the program when they found that it was unsuccessful. They were unable to consistently produce a litter of Poodle mix puppies who would not cause an allergic reaction to someone who is allergic to dogs. But despite the fact that a truly non-allergic mixed breed dog was not produced, many US breeders have ignored this and are marketing their "doodle" mixes as being non-allergic. There are other mixes that are "designed" to create something that the breeder thinks will appeal to the general public. "Puggles" mix a Pug and a Beagle to produce a dog that is smaller than a Beagle, but taller than a Pug and has less breathing issues than a Pug has. Some of these mixes are priced relatively high in an attempt to make the general public believe they are getting something that is unique and therefore more valuable, especially when AKC registered purebreds are use to produce the mix. The only thing that is unique about a mixed breed dog is that the new owner cannot know exactly what their new puppy will look like as a adult, will not know what kind of health issues may arise, and will not know what type of temperament the dog will have. The purebred dog comes with a list of characteristics that are a proven part of the breed and are repeated from litter to litter and puppy to puppy. But by mixing two purebred breeds together, it is next to impossible to predict which of the traits from each of the breeds used will show up in the puppy. And in addition, each puppy in the litter can carry very different traits so it would be next to impossible to tell just by looking at them, who will turn out in what fashion. So the next time you are looking to purchase a mixed breed, stop and ask yourself if you are willing to deal with the risks of not knowing exactly how the puppy will turn out. Cuteness is a trait that all puppies have and should not factor into any decision process.